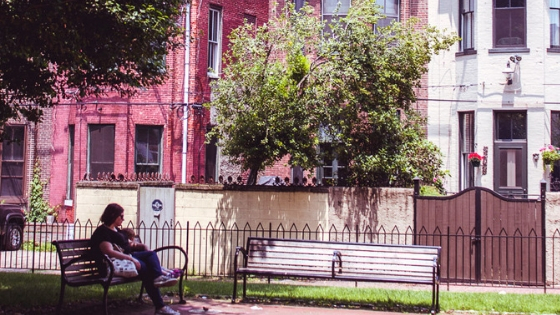 Is your current Philadelphia neighborhood enhancing your quality of life? Are you fulfilled living in your home, on your street, with the same conveniences each day? We move into a home that provides an upbeat energy and has all of our wants. We even choose a home that has a foundation for us to grow. The feeling of home is comforting and warm on those cold Philadelphia days. Most of us chose a home that is bare to create our own space. We move into an empty home and fill it with items that reflect our personality. Our guests are awestruck when we entertain and are at ease with the vibrant neighborhood. Living in your home, you are exploring the nuances of the neighborhood. That local coffee shop that has sweet seasonal flavors, your vet who is around the corner, and your office which is a 10-minute walk up to Market Street. At that time we are in one phase of our lives. As life continues, change occurs. Change of friends, social activities, and patterns of behavior. We start exploring new neighborhoods in the city. There is an office relocation to a new section of town where travel is longer. Our lives develop and we welcome new relationships. Now, you see yourself elsewhere. It is time for a change. It is time to enter your home with a new mindset. Philadelphia has an upbeat energy with dynamic neighborhoods and an ever-changing scene. This city has the neighborhood for your lifestyle right now. When you are feeling like this, rest assured another joyful scene is there for you. Let’s discuss the opportunity for you to move into a neighborhood that suits your lifestyle.